Two rabbits – a boy and a girl – find each other on the shore of a lake. But where two characters meet there are also two different stories to tell. And that is exactly what happens in the most surprising way in the reflective water of this wonderful, heart-warming, wordless book that can be read both right-side up and upside down. Two stories, two covers, one book! 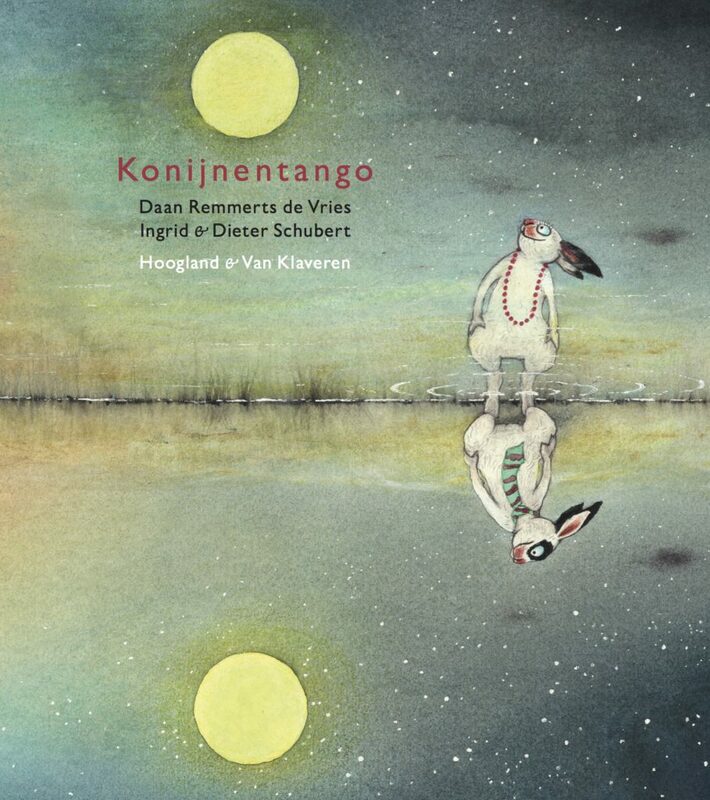 It takes two rabbits to tango – Rabbit Tango is a touching little love story by Daan Remmerts de Vries, depicted in masterful illustrations by Ingrid and Dieter Schubert.